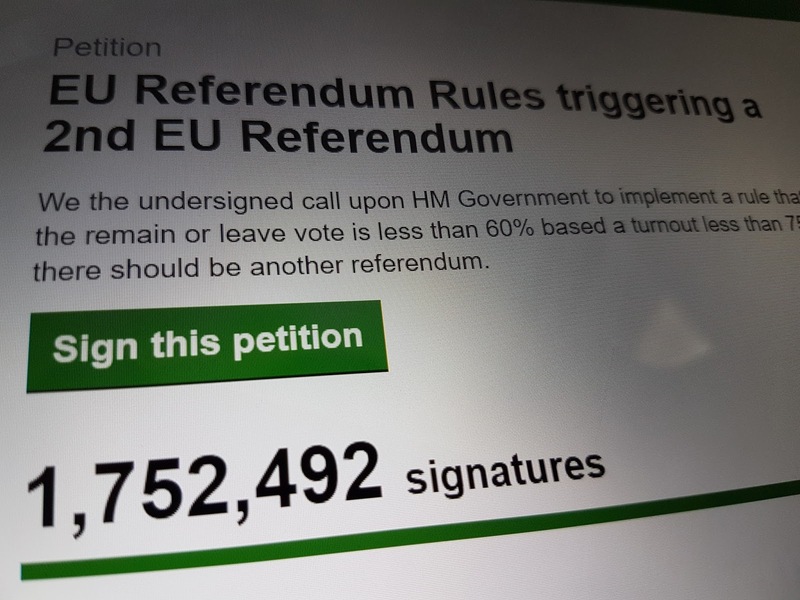 A petition calling for a second referendum on our membership of the EU has been signed a staggering 3 million times in just one day. As it reached 10,000 signatures, the government has to respond and as it reached 100,000 signatures, parliament will consider it for debate. We the undersigned call upon HM Government to implement a rule that if the remain or leave vote is less than 60% based a turnout less than 75% there should be another referendum. However, there have been allegations of fraudulent signatures with some claiming that many have come from abroad. The House of Commons Petitions Committee has issued a statement saying they are investigating and any fraudulent votes will be removed.